Shop Odyssey Flight Zone FZGSMCX8000W2 Glide Style Case For Denon MCX8000 from AMS with 0% Interest Payment Plans and Free Shipping. The FZGSMCX8000W2 Flight Zone case features Odyssey's patented Glide Style platform perfect for positioning your laptop, tablet, effect processors, and other gear right where you want it over the MCX8000 controller. 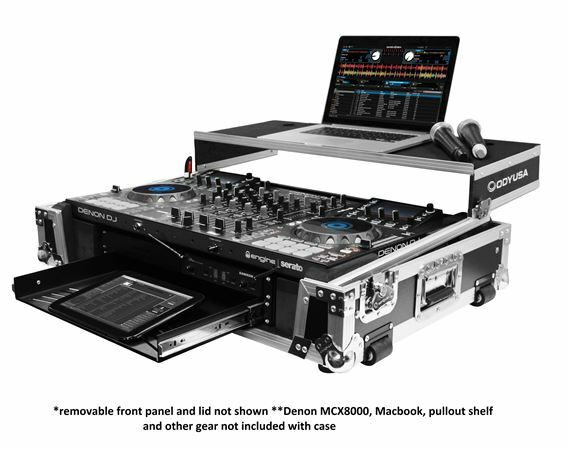 The FZGSMCX8000W2 Flight Zone case also includes a removable V-cut front panel allowing access to the all of the DJ controller's front knob controls and input jack ports. A cable management port, essential for a clean setup, is positioned below the rear of the player. 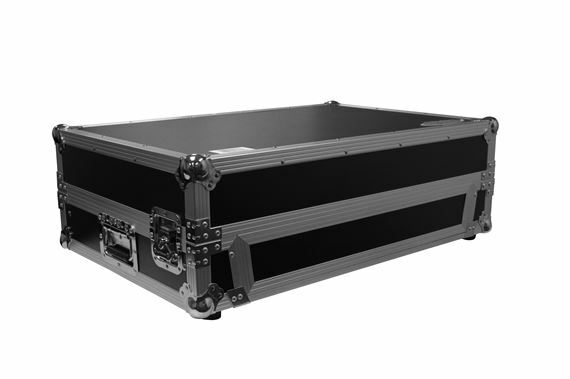 Also Underneath the controller compartment is another one of Odyssey's signature digital controller case designs; a 2U 19" rack mount space below the controller space perfect for rack mount gear such as wireless mic systems, power strip, drive rack, or storage drawer. The mounting hardware included allows for front or rear rack mounting and can be removed all together if needed. Approximate Shipping dimensions (exterior): 35.25" x 13" x 23.75"
Good case & value but a bit heavy. Worth the money, BUT, could be better. The only problem I have is the sliding laptop stand only locks open on the right side making the left side movable, makes no sense to me. Everting it's very nice , escéptico the pullout shelve not have in stock!! And the picture yess!!! Not understand ! ! !